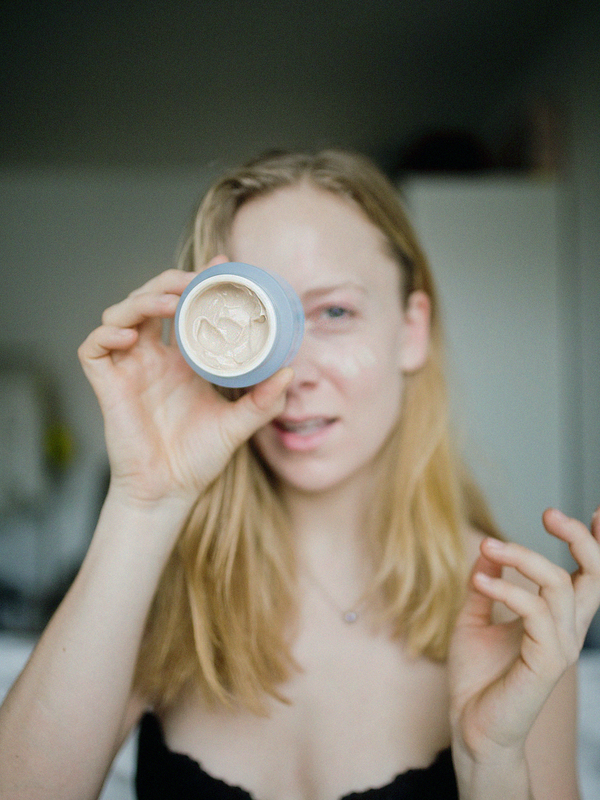 How long have I been struggling to find the perfect skin care? Forever. I’ve been trying out a lot of products lately but very few satisfied my needs. Dry skin is a common problem in winter. 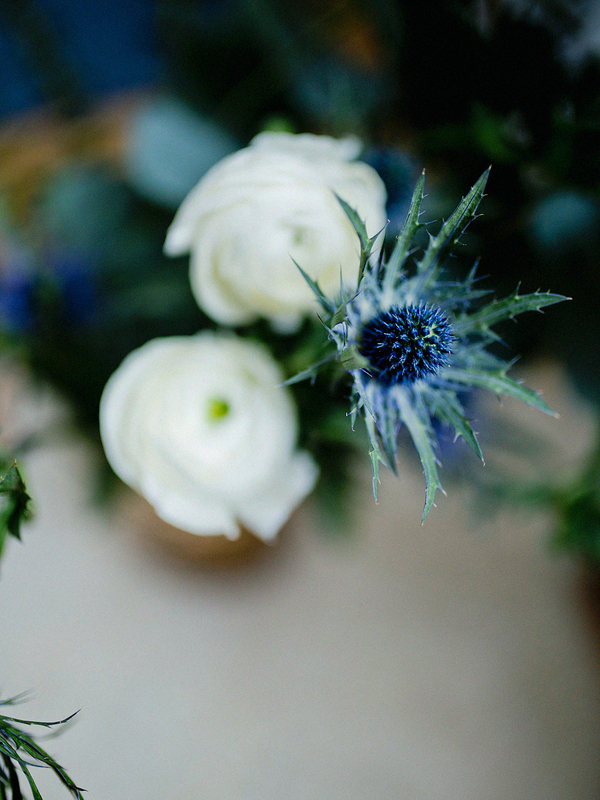 While I’ve been loving to use oils for the midseasons it wasn’t enough during the winter. As much as I love oils I had to find an additional day creme. 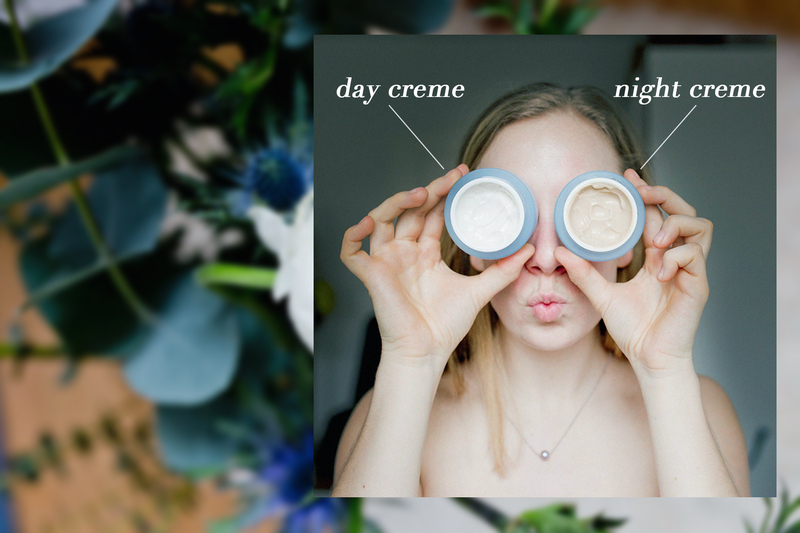 In the end, I’m not using oils any longer because I found the perfect day and night creme. 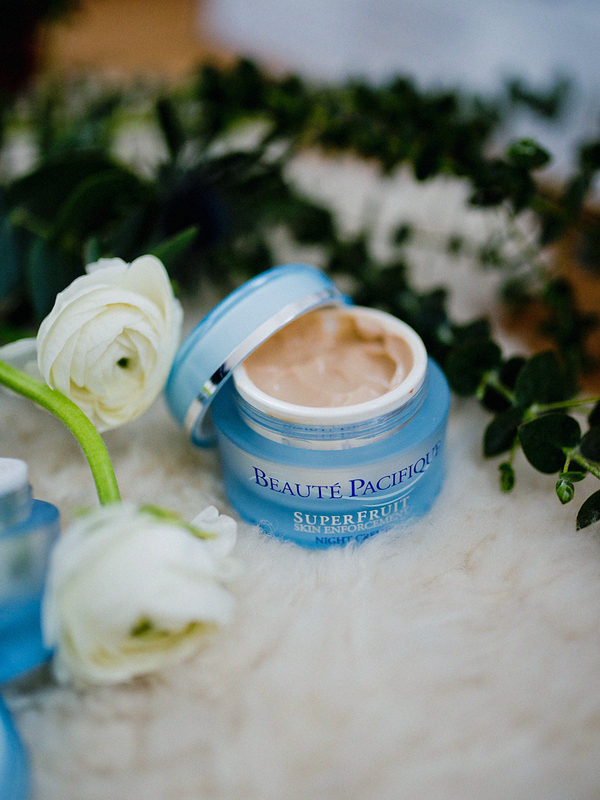 Beauté Pacifique‘s SuperFruits skin care is the answer (you may also have a chance to win some products at the end)! Not only am I a huge fan of the Scandi interior but also their beauty products. And if there is one land of origin prominent in my beauty products it’s Denmark. 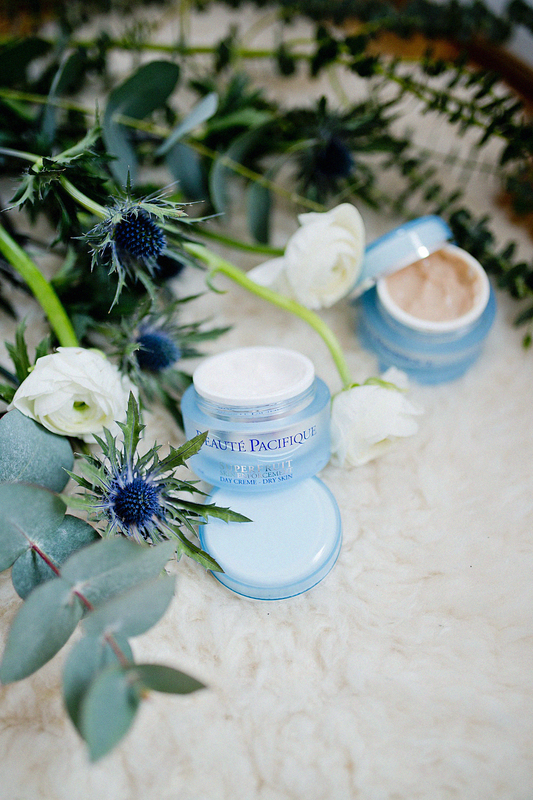 Likewise, Beauté Pacifique has it’s origins in Hadsund, which lies in the North of Denmark. The company not only offers a great range of beauty products but is also known for their skin diagnostics. If you’ve ever done one you’ll see how interesting that is. Especially because they’ll tell you in which state your skin already is. 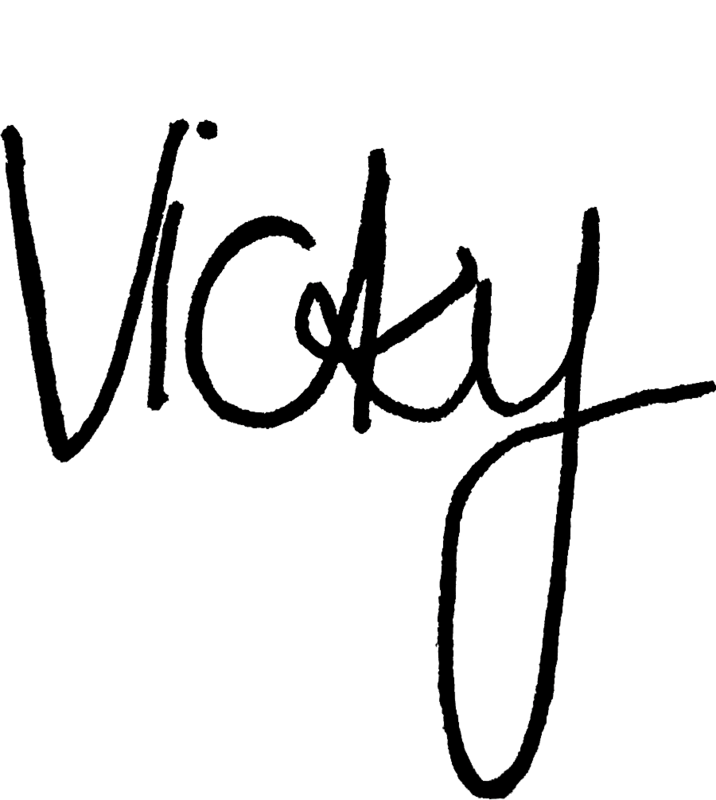 The SuperFruit line is especially made for young women like me. Honestly, I already catch myself looking at the fine lines on my skin in front of the mirror (I still hope that it is the bad lighting in the bathroom). But hey, at some point I should start thinking about anti-aging, which I’ve tried to ignore for the last years. 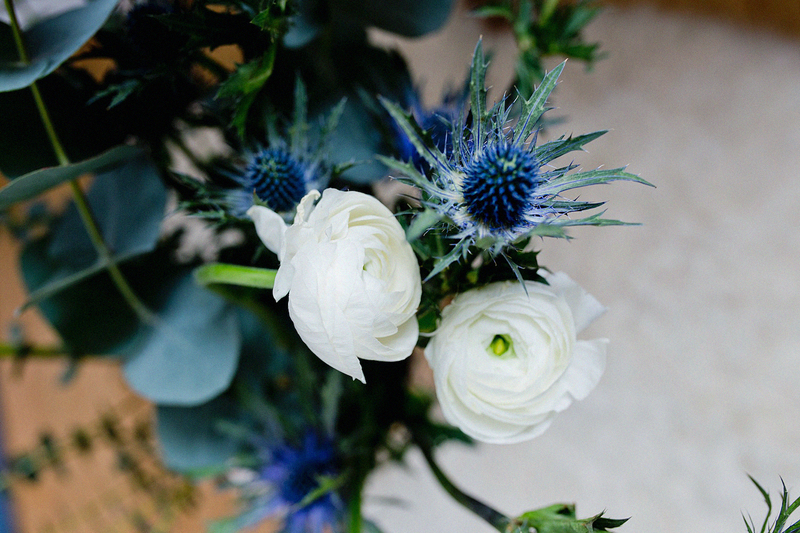 The SuperFruit line is the perfect starter for the first lines for young women. 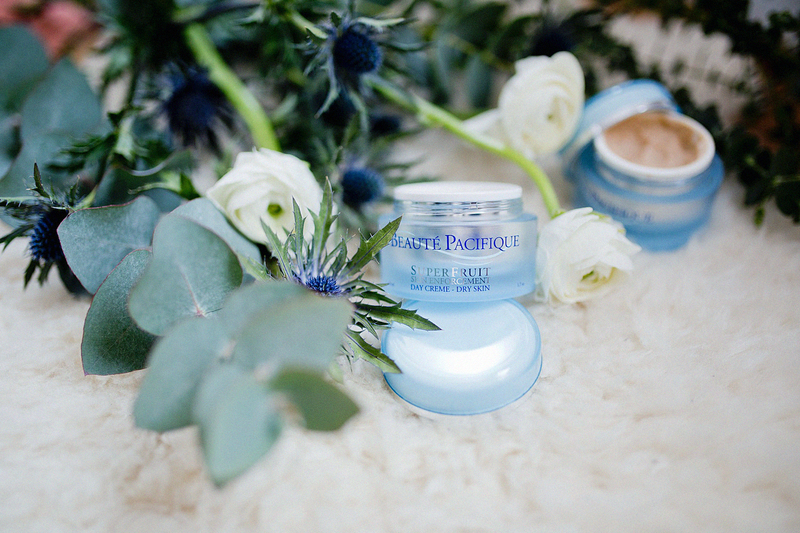 The moisturizing day creme enhances and preserves the skin’s properties to stay youthful and glowing as long as possible. I absolutely love the texture of the creme as it is rich and moisturizes. Moreover, it smells of green tea, lingonberries and leaves from apple trees – all high with antioxidants that protect skin cells which do wonders to your skin. The reason for my dry skin is not only the wind in Berlin, which I’m still not used to but also the hard water. Compared to South Tyrol and Munich it is much harder and leaves my skin super dry after each shower. Therefore, I try to prevent washing it with hot water as it damages it even more. Some cold water in the morning not only wakes me up but also supplies the skin with blood and makes it puffy and tight. After that I moisturizes it with the SuperFruits Day Creme. In the end, if that wasn’t enough my skin I also suffer from blemishes and redness. After testing the SuperFruits skin line for over a month I’m very happy with the great result. The skin of my nose was very, very dry and I tried everything. Now it’s back to normal, which is one of the biggest sings that the cremes do its wonders. Last but not least, their face mist. I truly got to love them as they’re so refreshing. I usually have a bottle of SuperFruit Skin Enforcement Hydrating Face Mist on my office desk and spray it on 2-3 times per day. I feel like my skin needs this additional moisturizing. 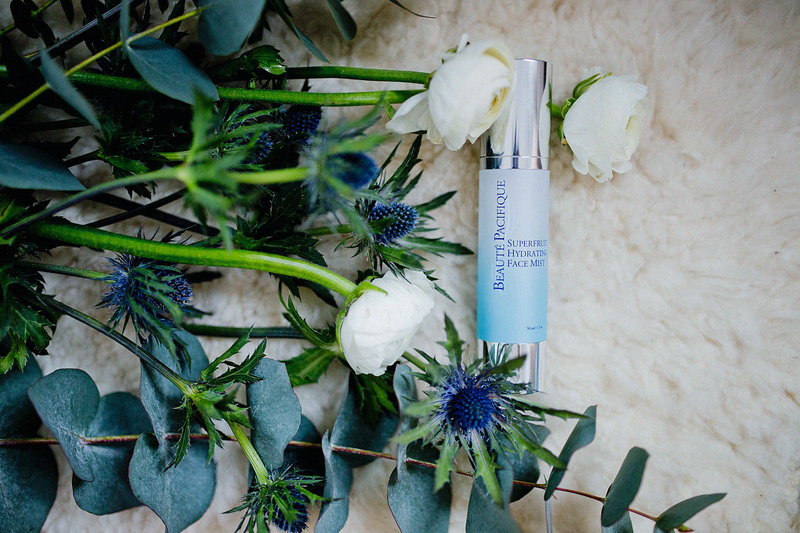 Wanna get a happy skin? 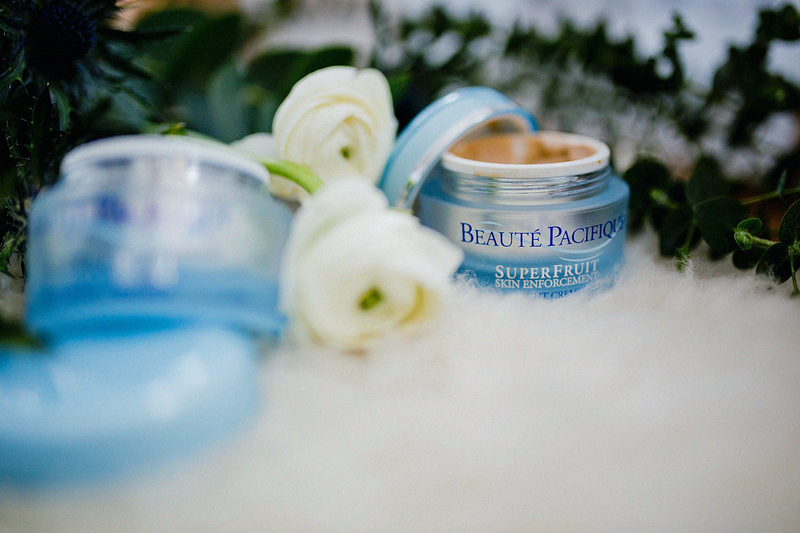 Enter the giveaway and win 2 sets of Beauté Pacifique’s SuperFruit Skin Enforcement products. Good luck! Also mein absolutes Wundermittel gegen trockene Haut ist Hyaluronsäure. Ich nehme sie immer als Nahrungsergänzungsmittel ein und helfe meiner Haut so von innen. Eine gute Nachtpflegecreme habe ich aber noch nicht gefunden. SuperFruits Night Creme teste ich deshalb sehr gern mal! vielen lieben Dank für deinen Tipp! Ich habe Hyaluronsäure auch schon selbst probiert. Momentan bin ich auf den Algentrend umgestiegen.